History (and scientific literature) teaches us that under good environmental conditions, on average, children of any ethnic background have approximately the same growth potential. In 2011, stunted (shortness for age) growth affected 165 million children. Stunted growth may increase morbidity, mortality, physical impairment, cognitive impairment, limited productivity, and poverty. In Africa and Asia, 11% national economic productivity is lost to undernutrition. Guided by the belief that all lives have equal value, the Gates Foundation’s vision is to ensure a world where every person has the opportunity to live a healthy, productive life. The Foundation’s Healthy Birth, Growth, and Development knowledge integration (HBGDki) initiative is a global data-driven project. We have integrated many data sets about child growth and development into a large knowledge base. We are using these data sets to learn about factors that stop body and brain growth, and to develop optimal solutions. Currently, the organization has acquired data on 9.5 million children from 122 individual studies across 25 countries. Data has been collated from longitudinal (>12 million subject records), cross-sectional, and survey data sources along with over a thousand clinical covariates of interest. We are looking at innovative ways to develop predictive personalized public health models to help us identify the right therapeutic/preventive interventions, in the right dosage, for the right child, at the right time, to get the right response and avoid the adverse outcomes in childhood and adulthood. It’s a day long digital workshop in which computer programmers, graphic designers, interface designers, project managers, community activists, artists and other interested members of the community come together to collaborate intensively on a specific project. The outcome produces visualizations, analytics and features based on this data. Somatic growth is used as a surrogate for impaired neurocognitive development, but it is possible that somatic growth also tracks with brain development. 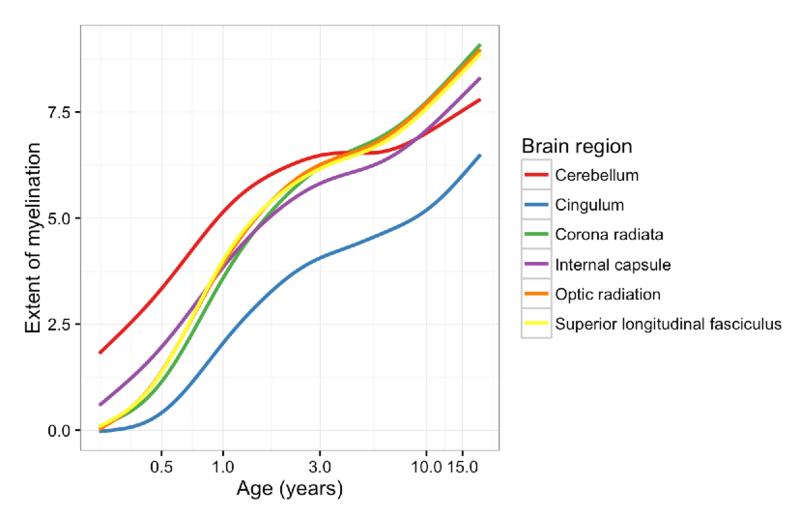 In this data set, children aged 3 months to 11 years were examined by MRI (2 to 4 scans each) to characterize brain development. Brain myelination was quantified from the MRI scans, and is provided in the hackathon dataset (Figure 2). Somatic growth also was measured at each examination. The problem proposed to Hackathon participants is to predict cognitive scores based on somatic growth and/or brain development as precisely as possible. 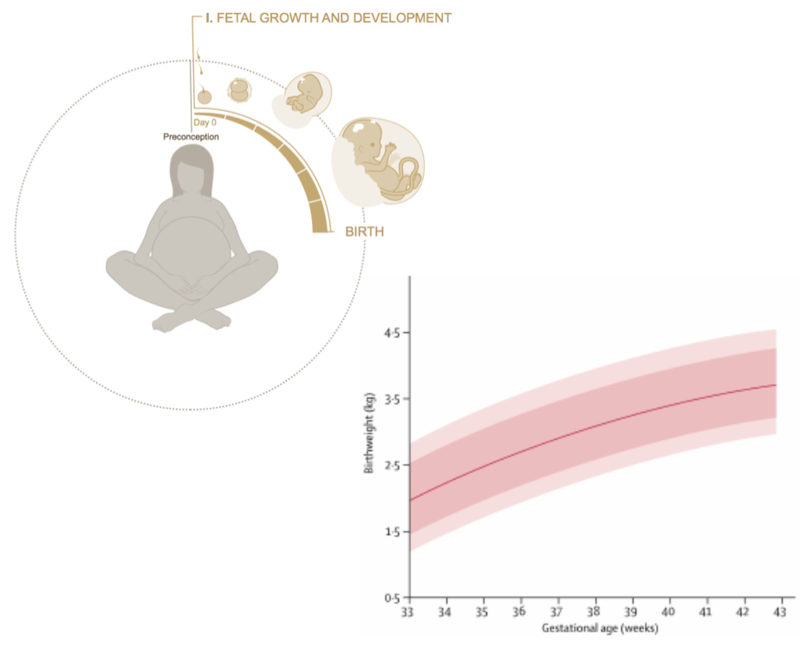 Can the trajectory of brain development can be inferred from measurements of somatic growth? Several different equations have been proposed to estimate fetal weight from 4 key ultra sonogram measurements: head circumference (HC); abdominal circumference (AC); biparietal diameter (BPD); and femur length (FL). Each method has been evaluated by comparing the estimated fetal weight (EFW) to the birth weight for an ultrasonogram that was done close to birth, but these equations are only valid shortly before full-term birth. The problem proposed to Hackathon participants is to develop methods for predicting fetal weight at week 40 (i.e., full-term birth weight) from ultra sonogram measurements between weeks 26 and 39 gestation. Prediction methods should take advantage of the longitudinal characteristics of the ultrasonogram and postnatal data set that will be made available to participants. 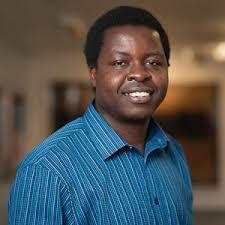 Eric is a Medical Statistician and holds a BSc (Hons) in Applied Statistics from Maseno University, Kenya, and a MSc in Medical Statistics from the London School of Hygiene & Tropical Medicine (LSHTM), UK. He is currently pursuing a Dphil (PhD) at the Nuffield Department of Obstetrics and Gynecology (NDOG), University of Oxford, carrying out research on statistical issues in the study of fetal, preterm and neonatal growth. Eric has previously worked at the Kenya Medical ResearchInstitute (KEMRI)/Wellcome Trust Research center, Kilifi, Kenya as a Medical Statistician providing support to research scientists on various projects and offering statistical trainings. He joined NDOG in September 2010 working with Professor Douglas Altman on the INTERGROWTH-21st project whose primary objective is the production of international standards for fetal, newborn, preterm postnatal growth, and gestational weight gain. Sofia is a development economist with a particular interest in applied micro-econometrics, child health, economic demography, gender, and human development. 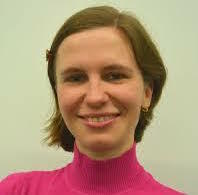 She holds a Masterís degree from the University of Gˆttingen in Germany. Currently she is a PhD student at the Graduate Institute of International and Development Studies in Geneva, Switzerland, and a visiting researcher at the International Institute of Social Studies in The Hague, Netherlands. Sofiaís articles have been published in Demography, World Development, and Economics and Human Biology. Sofia is part of the Policy, Delivery & Implementation Surge Team within the Healthy Birth, Growth, and Development knowledge integration (HBGDki) initiative at the Bill & Melinda Gates Foundation. 7:00 - 8:00pmNetworking & Happy hour!